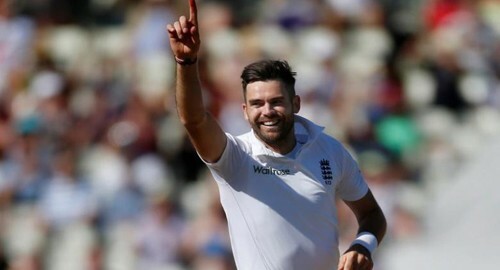 LONDON- England’s leading test wicket-taker James Anderson will join up with the squad for the five-match series in India after making “encouraging progress” from a shoulder injury, the England and Wales Cricket Board (ECB) said in a statement on Saturday. Anderson, who has not featured for the side since August, had been cleared to travel after passing a late fitness test on Friday and it was hoped the 34-year-old seamer would play a “significant part” in the test series, the statement added. “It’s a credit to the hunger he has shown to get back,” captain Alastair Cook told the BBC.